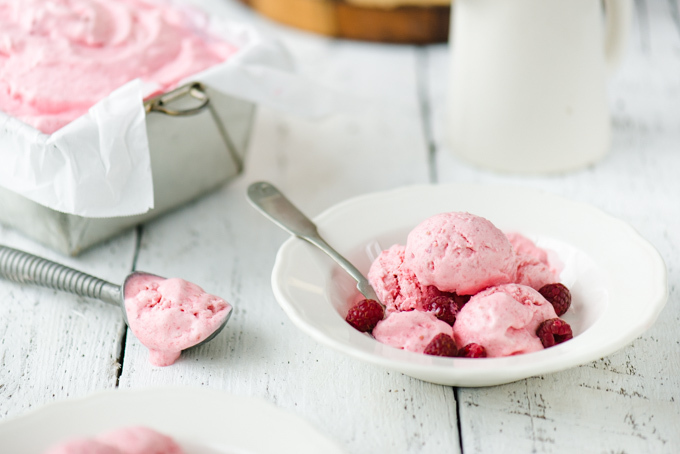 Rewind back nearly a year and a half ago… Shannon comes over with a beautiful (/ancient) ice cream maker, a bag of fresh raspberries, her best friend Olya, and a plan. The time in our relationship has come. We are going to make ice cream. I’ve never made ice cream, so naturally I was a bit nervous with my inexperience. Fortunately, Shannon assured me everything would be just fine. It wasn’t her first time. I rifled through the supplies, unsure of what to do with the large bag of salt, but the rest seemed straight forward, I could do this. We whipped up the ice cream base, and we’re about to get things going, when I realize my ice supply is out…rookie mistake. After a quick trip to the corner store, bag of ice in hand, the time had come. We fill up the ice cream container, surround it with ice and salt, and get the motor going. It was loud, we had to stop a few times, adjusting the ice to keep it churning. I definitely expected things to go much quicker. 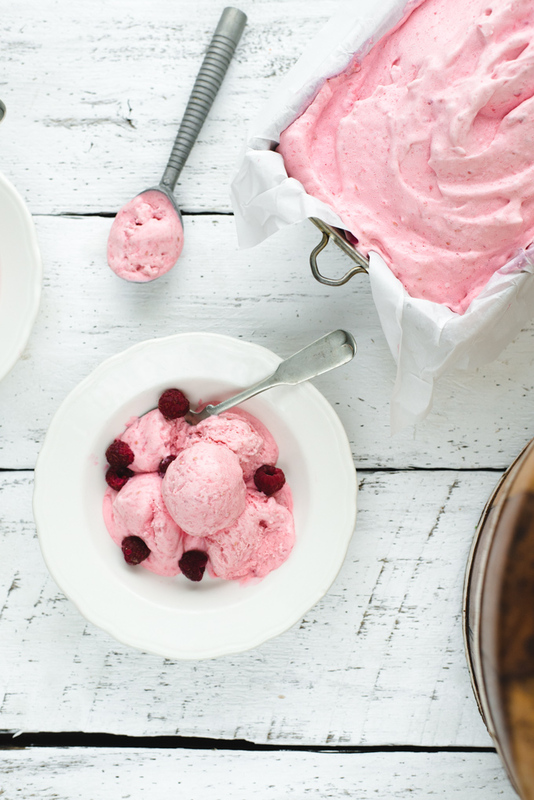 As it turns out, our little old ice cream maker likes to take its time (this wasn’t its first rodeo!). Finally, after about an hour and a half, our cream had become ice cream! 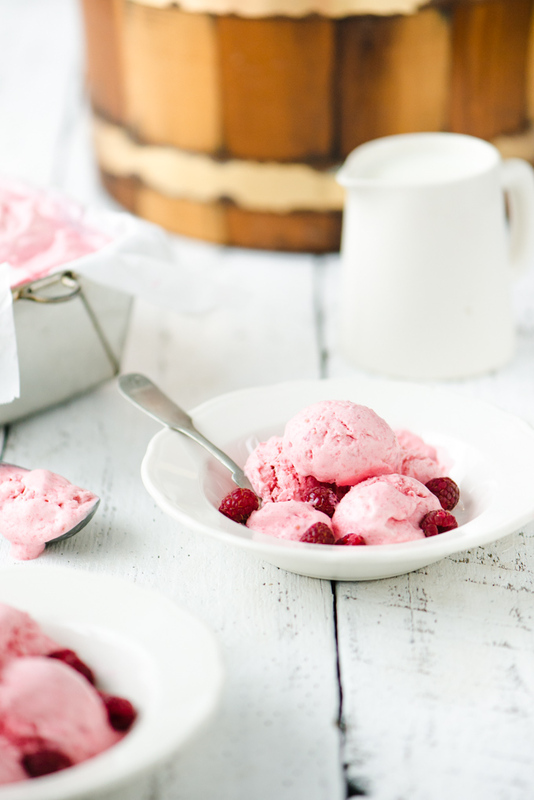 Fresh raspberries and sour cream give this ice cream a bright and tangy flavour. Ice and rock salt if required for your ice cream maker. Combine ingredients in a blender, processing until smooth. Get your ice cream maker ready, according to your specific brands instruction. Pour the ice cream mixture into the chilled canister, and following your ice cream makers instruction, churn the ice cream until it reaches proper consistency. 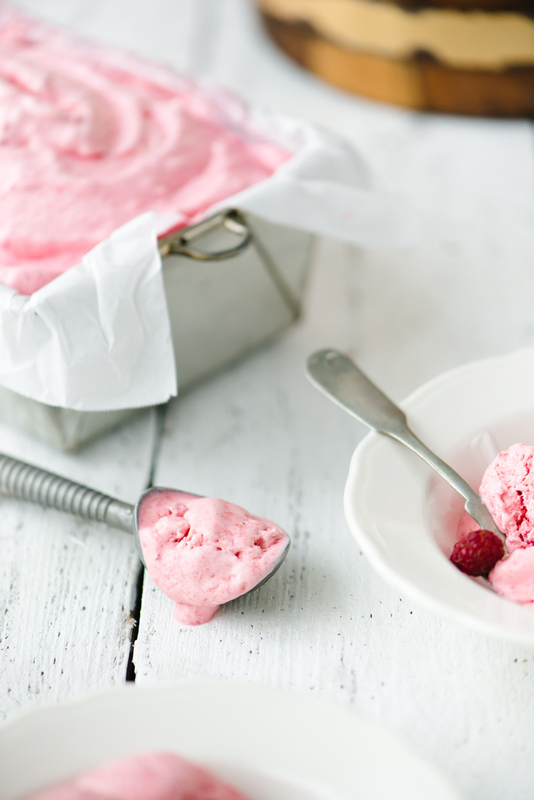 Once the ice cream is done churning, scoop it into a freezer proof container, and freeze for 4 hours. I love how you made making this ice cream sound like an adventure. And wow, love the bright pink color too. Thanks Josh, it was definitely a fun one! I hope you have found more in Victoria to fuel your culinary and adventurous spirits!! Keep doing what you do and being who you are….